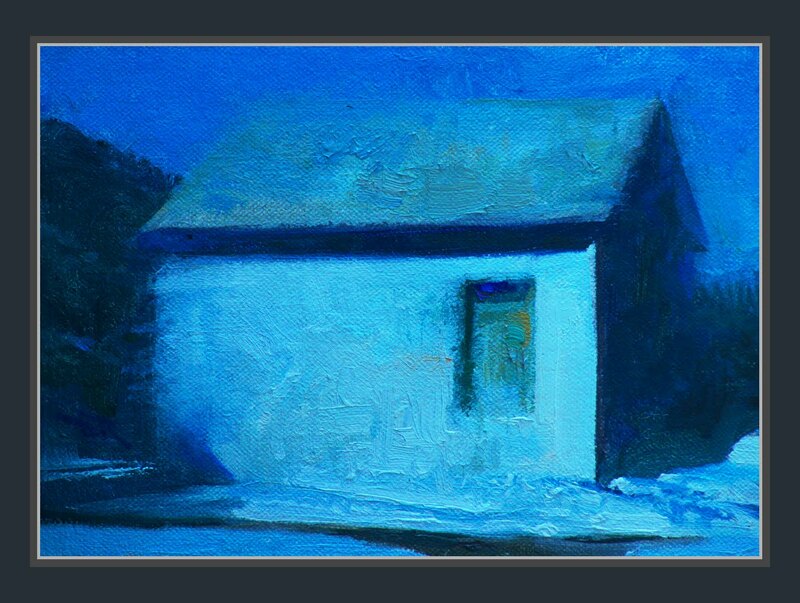 On a Clear Winter Night - This limited palette nocturne, purely invented, gave me an allowance of freedom to explore options. Working with the idea of what a painting might need is often more enjoyable than competing to only capture reality. Nice painting Dan, about what you said about enjoyable or only capture reality, I agree with you although I have to say that I never thought about it that way, I think the impressionist had some type of idea similar, any way may I ask you what was your limited palette? Dan, I am a sucker a good nocturne! This one is as good as I've seen. Happy New Year!